When you were young, rocking your brand new Windows XP, you probably wanted to send SMS texts from your computer, at least once. 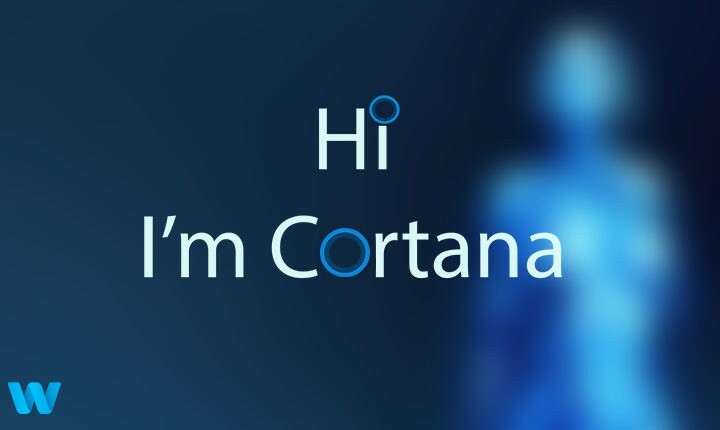 Well, Microsoft finally fulfilled your old wish in Windows 10, as you’re now able to actually send text messages from your computer, courtesy of Windows 10’s virtual assistant, Cortana. 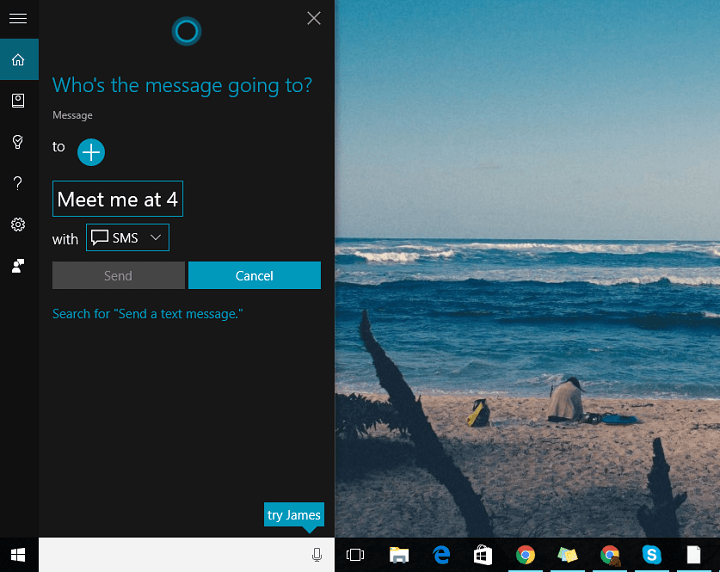 With Cortana, you can easily send text messages from your computer to anyone in your contacts list. So, if you need to send a message quickly, but you’re not by your phone, just let Cortana do the job for you. 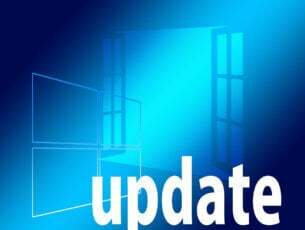 Note: This ability was introduced to Windows 10 with the Threshold 2 update, so you need to run at least that version of the system, to be able to send SMS messages from your computer. 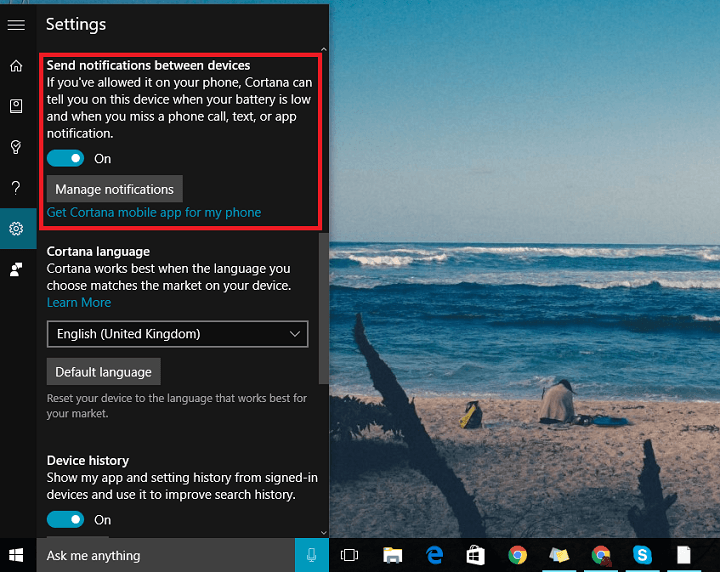 This option currently works with Windows 10 Mobile devices only, although Microsoft constantly works on improving Cortana for Android, we don’t know when this feature will arrive to Google’s OS. First thing you need to do, to be able to receive and send messages from your Windows 10 computer is to make sure your devices are connected. Once you make sure your devices are connected, you’re good to start sending and receiving text messages from your Windows 10 PC. Let’s start with receiving messages. 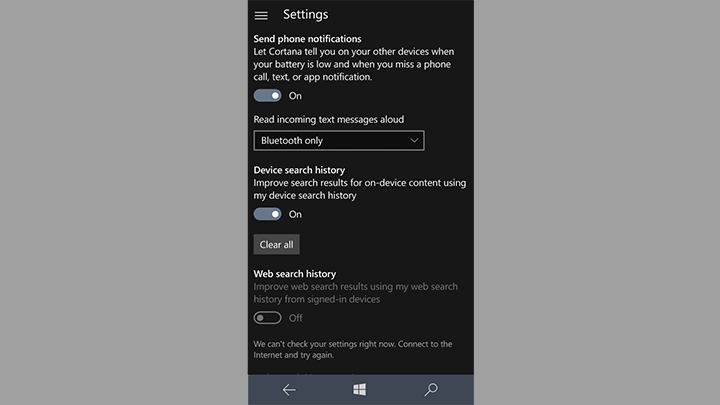 When your Windows 10 devices are connected, you will automatically receive notifications about a missed call or a received SMS message from your Windows 10 Mobile phone to your Windows 10 PC. 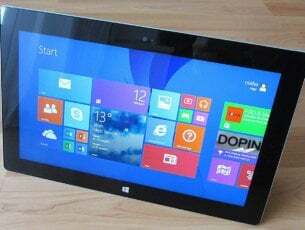 Microsoft introduced this ability with some of the previous Windows 10 Preview builds. Once you receive a notification about the text message you received on your phone, you can reply directly from that notification banner. Just hit ‘Reply’ button. There you go, sending text messages from your computer have never been easier. Just keep in mind that you can only send text messages to contacts in your People app, as you can’t add recipient’s number manually, so make sure a person you’re sending a message to is in your contacts list. 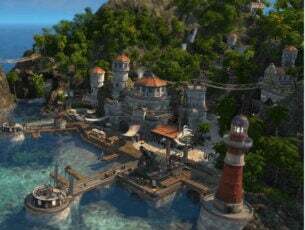 We hope that this article was helpful, and that sending messages now appears easier for you. If you have any comments or questions, just let us know in the comments below.